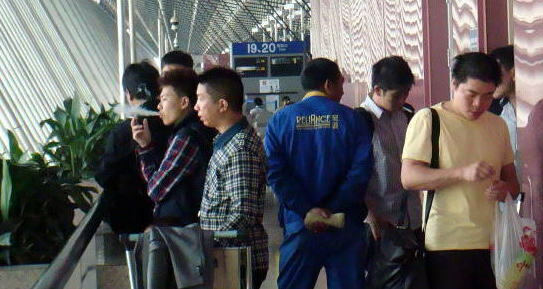 Can China restrict smoking in a public space? 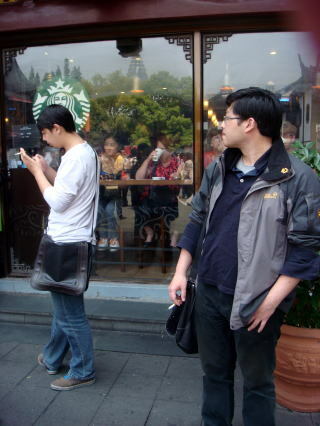 There is no rule in smoking in the street of Shanghai. 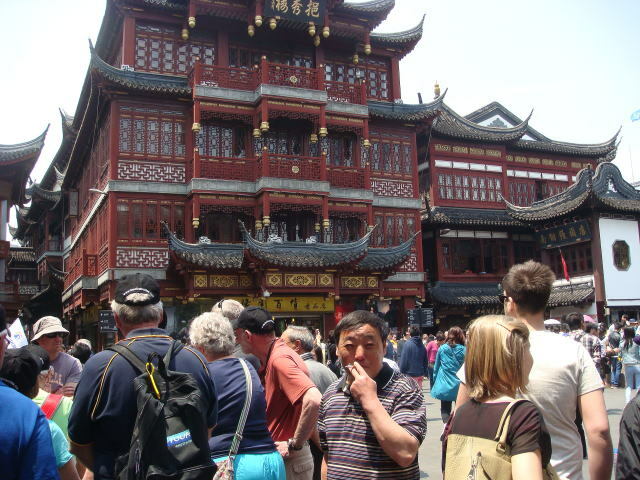 on one occasion that we saw a smoker spitting on the walkway. 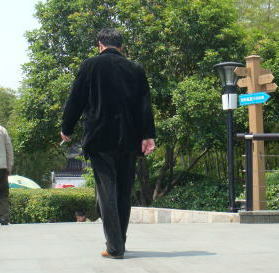 (R) A Chinese is enjoy walking with cigarette around a park next to the Yu Garden, Shanghai.
' When in Roma, do as the Romans do'. 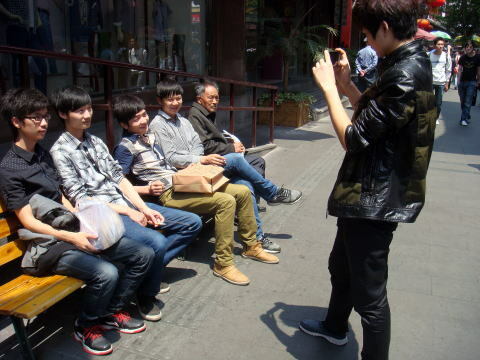 Tourists from abroad are taking a picture with a cigarette in his hand. (L) A suvenior shot with a cigarette in the left hand. 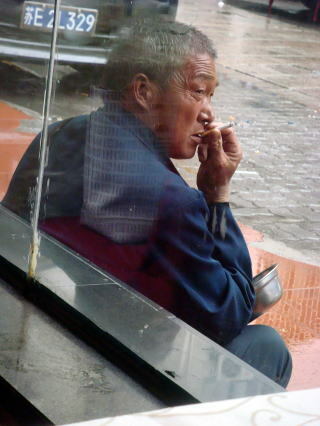 (R) A beggar smoker in Souzou was waiting for a foreign customer to go out for requesting money by force. 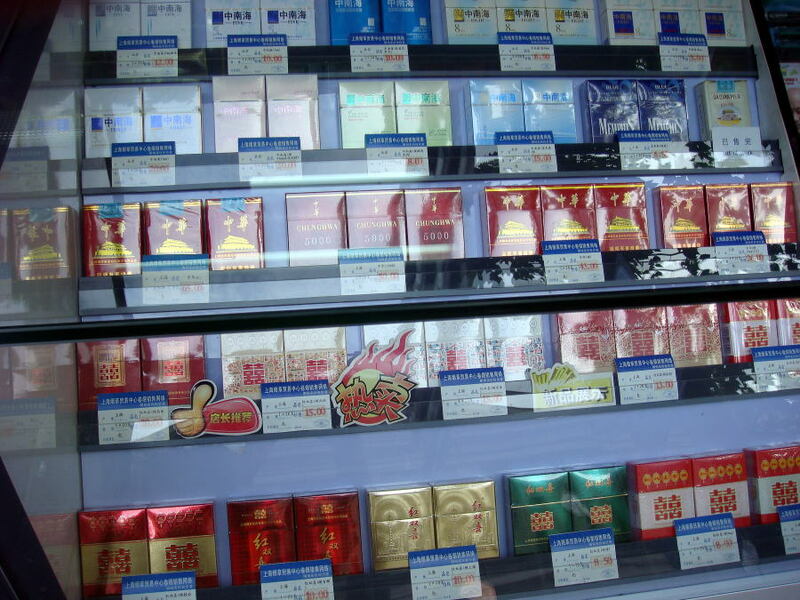 The price of cigaretts ranges from 8.00 Yuan ( $1.30 ) to 65.00 Yuan ( $10.6 ) per pack in a Shanghai tobacco shop. 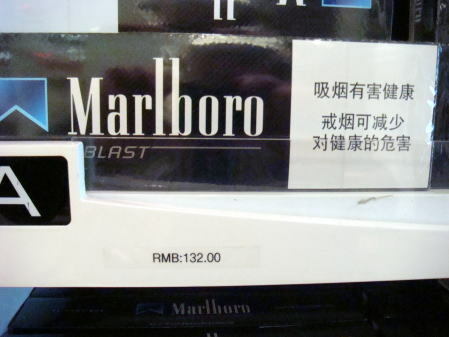 The price of Malboro is 14.5 Yuan ( $2.36 ) to 20.0 Yuan ( $2.6 ) per pack at a convenient store in Shanghai City. 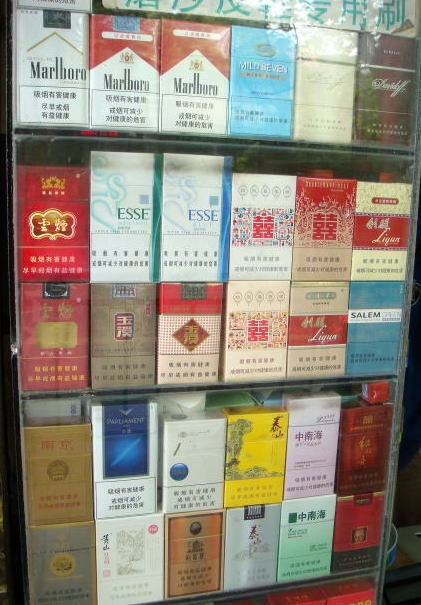 The left-sidetobacco rack conceals a health warning of smoking. 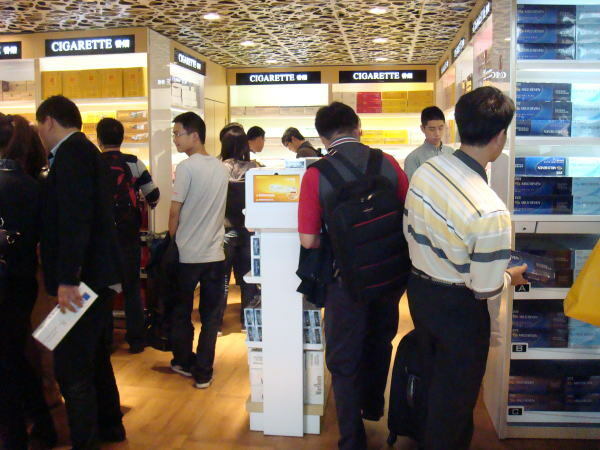 Many Chinese people are bying a no-tax tobacco at the airport. 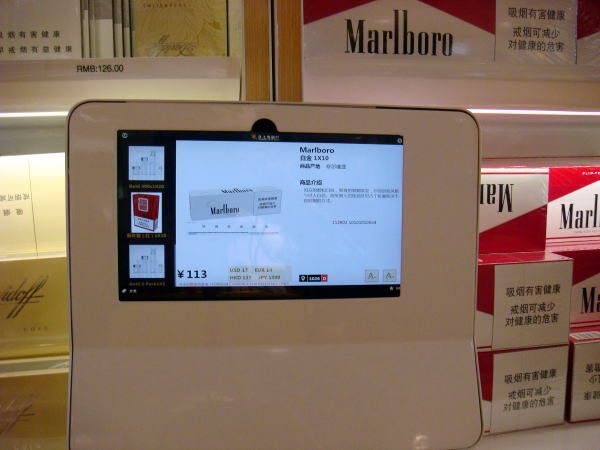 A plasma display panel (PDP) which shows a detail of tobacco product. 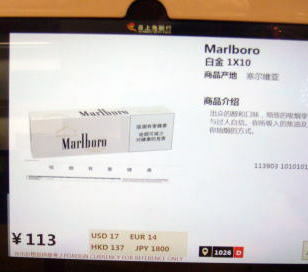 This was photographed in the airport shop at Shanghai. 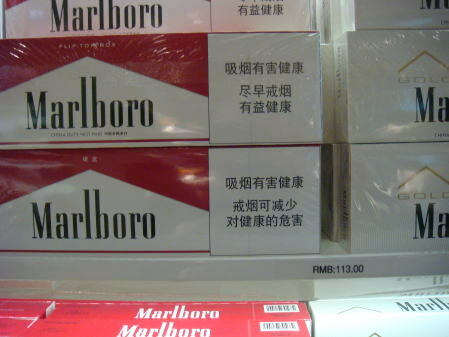 The price of the no-tax Malboro ranges from 113 Yuan ( $18.4 ) to 132 Yuan ($21.5 ) per pack at the Shanghai International Airport. 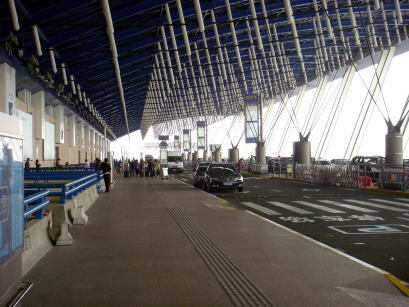 (L) Several smokers are putting the light on at the outside of Shanghai International Airport. 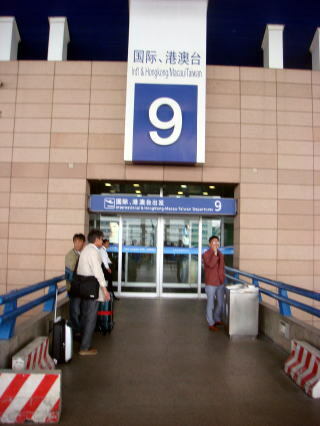 (R) A carriage porch of Shanghai International Airport. 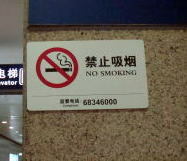 (L) No-smoking sign pasted on the wall of the Sanghai airport. 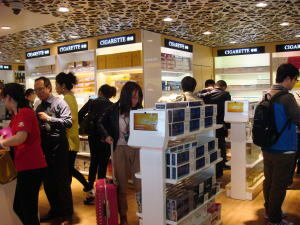 (R) A few air passengers were smoking outside of the smoking room. 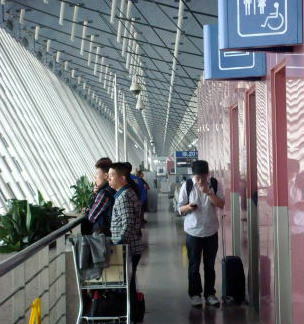 (L) Two air passengers were smoking outside of the smoking room. 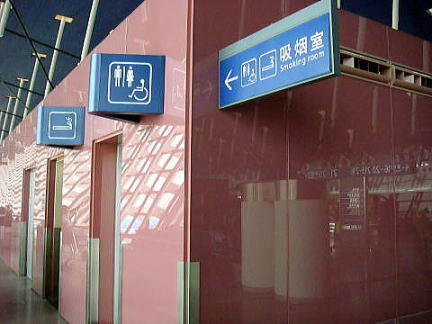 (R) A smoking room in the Shanghai International Airport: The inside of smoking room is narrow and dark. 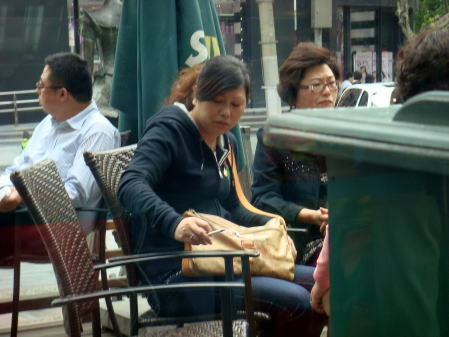 Can the Government enforce a smoking-control law in Shanghai? 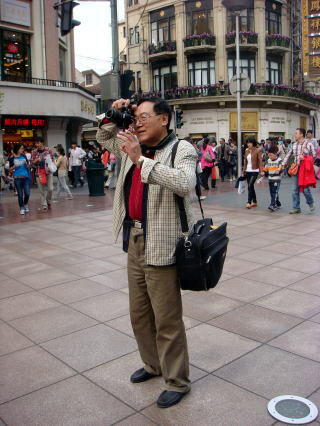 China lacks enforcement of legislation. 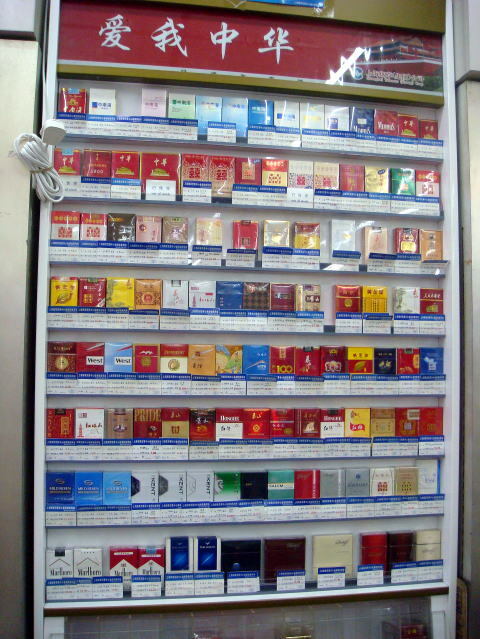 The Shanghai People's Congress issued the city's first smoking control law in March 2010.
smoking would first be given a warning and then face a fine of 50 to 200 yuan if they resist. is the lack of clarity regarding who will do the fining and who will report the offenses. 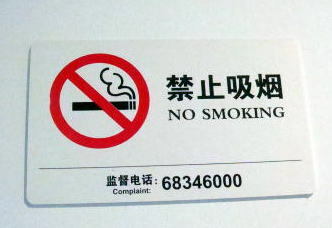 number of smokers present in Shanghai. 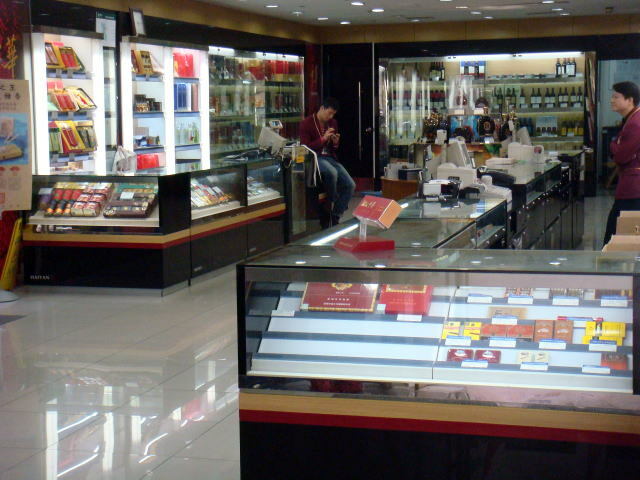 A shop clerk is smoking inside at tobacco-alcohol shop on the East Nanjing Road, Shanghai. 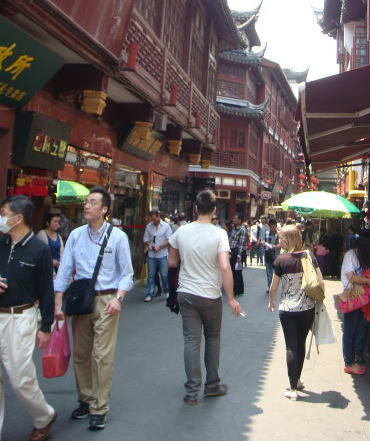 year-on-year, according to the Shanghai Municipal Health Promotion Committee. 46 percent and 25 percent respectively over the previous year. 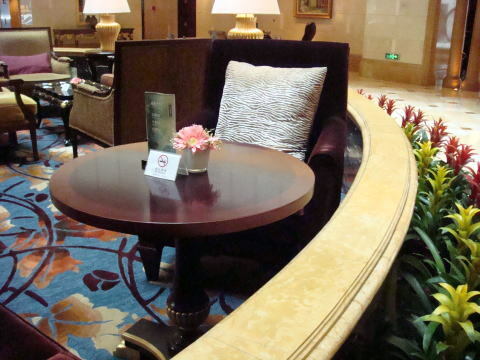 The committee imposed 350,000 yuan in fines on 190 venues and 100 individualsin 2012.
bar in Pudong New Area, said the smoking ban has cost him customers. venue has been fined anywhere near that amount. The current policy only allows authorities to issue a warning the first time they find a violation. Inspectors can only issue a fine if they return and find the venue is still breaking the rules. is prohibited. 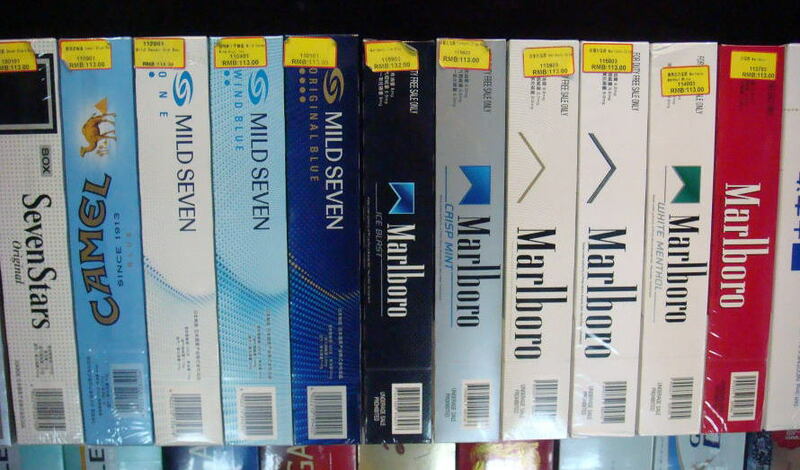 Karaoke bars and restaurants are allowed to set up designated areas for smokers.